The possible applications for pavers are only limited by your imagination. Maximize your outdoor living space with a design that is all your own. Create a scenic walkway in a beautiful backyard garden. A variety of hues and textures allow you to have unlimited possibilities to both compliment and enhance the natural beauty of any surrounding while being friendly to the environment. From palatial outdoor entertaining areas to pool decks with a relaxing spa-like feel, you can count on unsurpassed strength and flexibility. 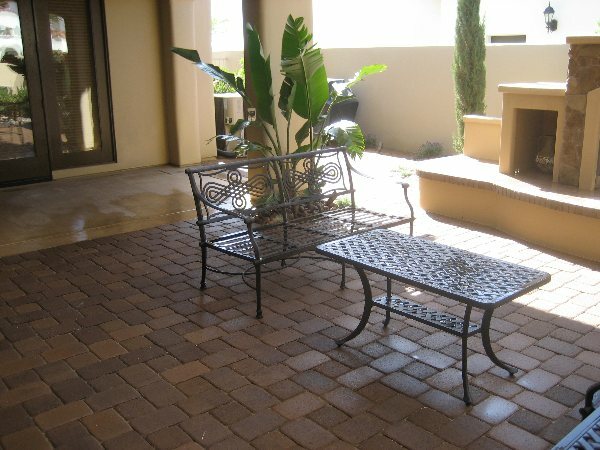 Concrete pavers can withstand the forces of weather , water and traffic. Plus, they are especially designed to withstand freeze-thaw conditions, making them a good choice for cool as well as warm climates.